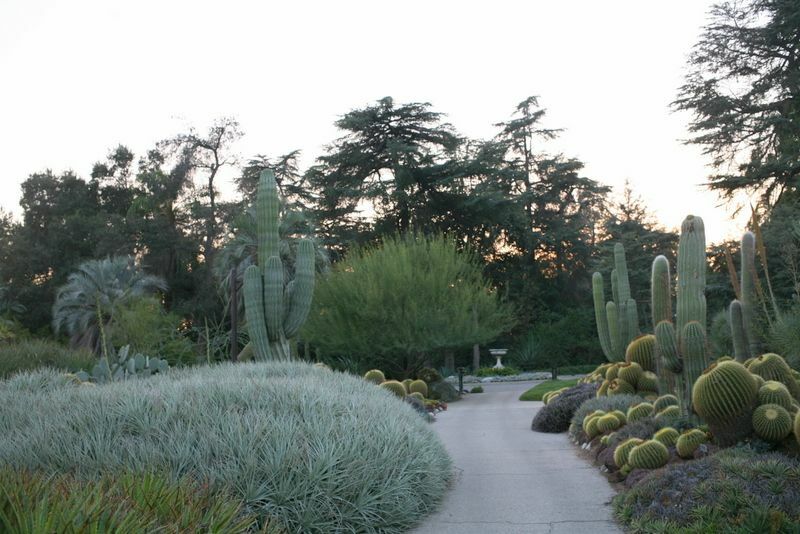 Let me just say up front, to avoid any confusion, that these are all photos from a December visit to the Desert Garden at the Huntington Botanical Garden. 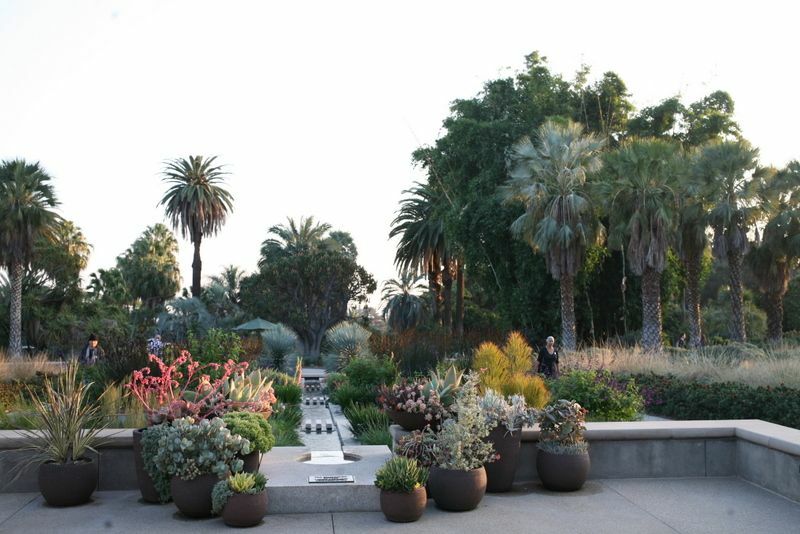 While I love a visit to this glorious garden any time of year, in spring 2019 I especially want to see this year’s rainfall effects on the local deserts. It doesn’t have to be a superbloom wildflower extravaganza either — I just want to see the desert landscape in better-than-drought conditions. 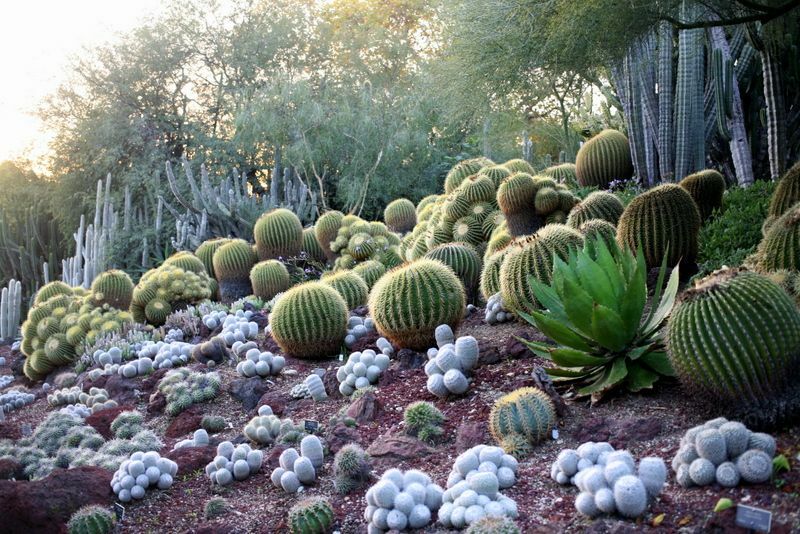 For spring, March-ish, I’m hoarding destination names like Anza-Borrego Desert State Park and Alamo Canyon, Organ Pipe Cactus National Monument. 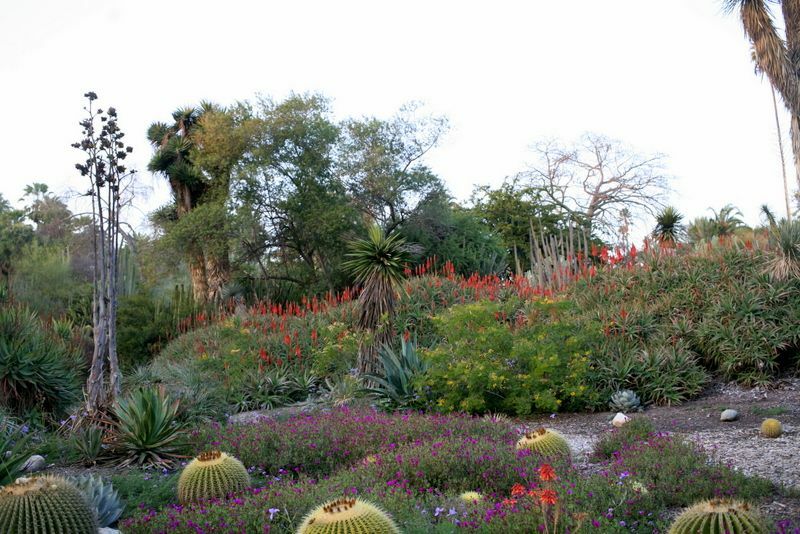 The flowering desert phenomenon is a rarity, occurring in only a few places in the world. 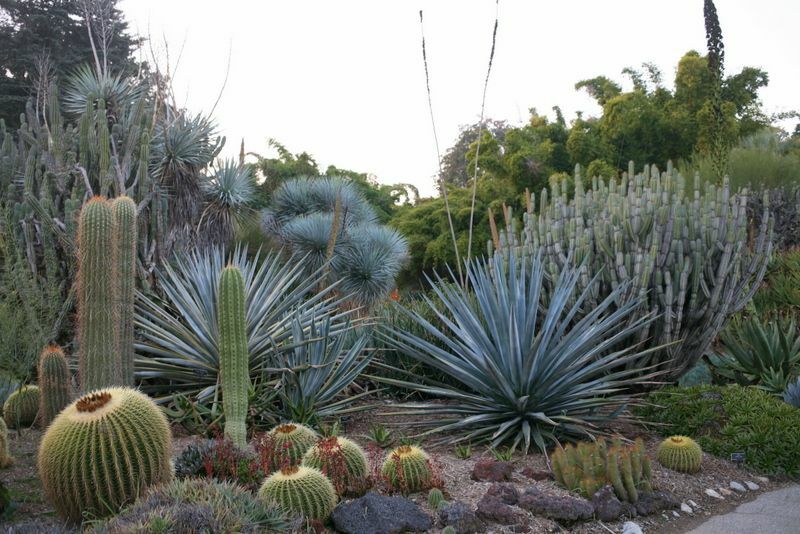 Fortunately for us, the short list includes the deserts of the southwestern United States. My hiking boots are getting a workout around town and will be primed and ready for the trails. 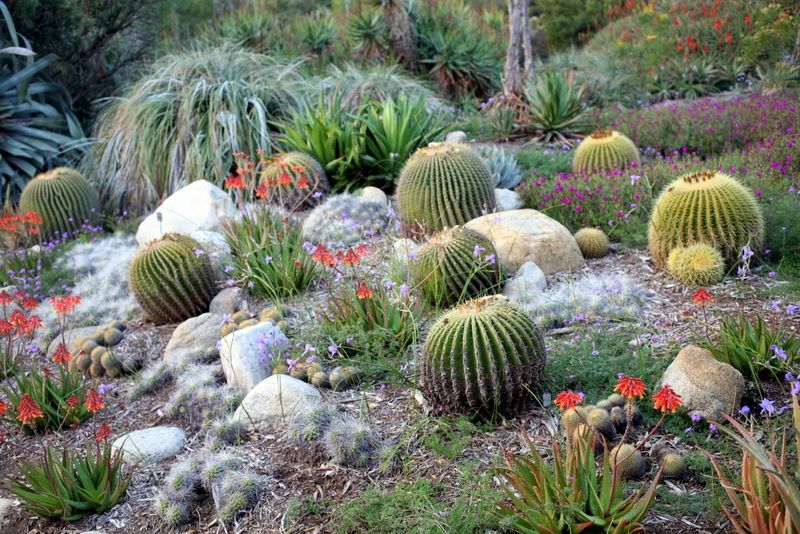 After all, to better appreciate formal features like rills that originated in hot, arid lands, or a mix of desert plants from all over the world perfectly grown and maintained, it’s always useful to go directly to the unmediated source. More southwest travel ideas from Sunset can be found here. This entry was posted in garden travel. Bookmark the permalink. I jumped in a car with a friend and her husband for the Anza-Borrego superbloom the year before last but our trip was planned for a single day, truncated on both ends in the interest of avoiding rush-hour traffic. It was hot as Hades when we finally arrived at our destination and we didn’t push our exploration far enough into the desert to get the full impact of the bloom-fest. I’ve told my husband that, if we want to do it right, we need to arrive in the late afternoon, stay overnight, and get up really early to explore. 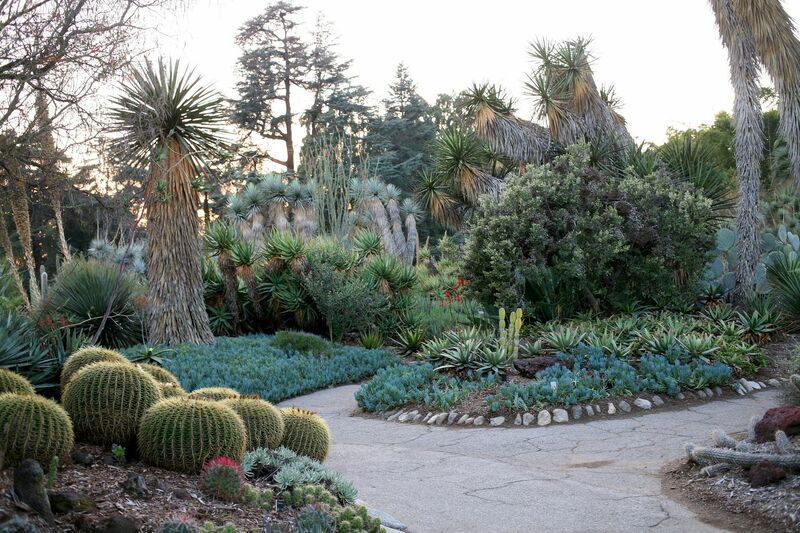 The Huntington is always a treat and I can’t wait to see the blooming desert through your lens! @Kris, that makes me hope this year won’t be declared a “superbloom”! @Peter, so many times I’ve resolved to visit the desert in spring — this year it’s a priority! @Loree, miss you too, and so glad you’re having a relatively mild winter. That brom you brought home was amazing. Gorgeous, as always. I’m hoping that the poppies will be good this year… You should add the poppy preserve to your list! That the dust, ash, and air pollution is washed off every plant in SoCal is something in itself. Flowers are a bonus! Have fun in the desert. I like Borrego, and there are great places to stay there. It was one of my favorite roadtrips when I lived 90 minutes west ** years ago, and that was during drought and no blooms. 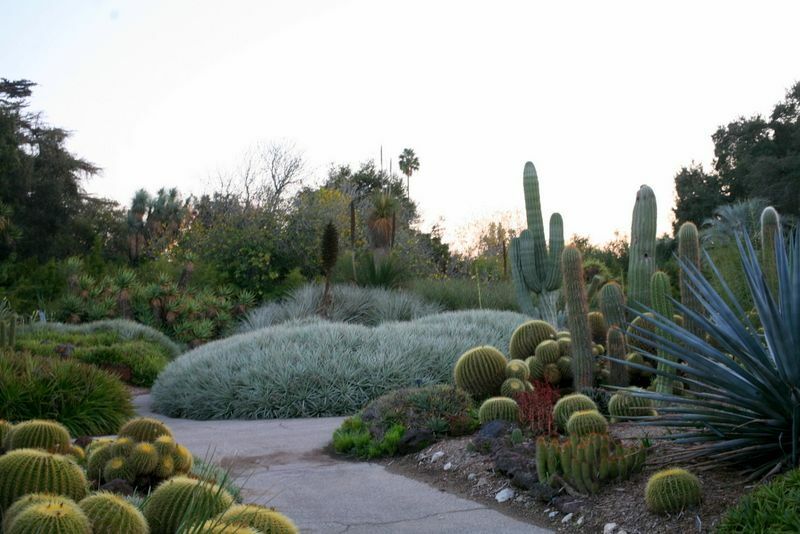 Mid-week it was very much uncrowded, and perfect…hot in the low desert is 105+, so you’ll be fine for early spring blooms.